This is part of a series of posts about the shortly to be released MacVector 12.5.
to accommodate changes in OS X, where generally with every major release they make major changes under the hood. to optimise workflows, where we try to respond to user feedback and make analyses both easier to use and quicker without removing any functionality. to redesign dialogues and tools to make them easier to use whilst keeping all the options for the power user. to take advantage of new OSX features to make life easier. 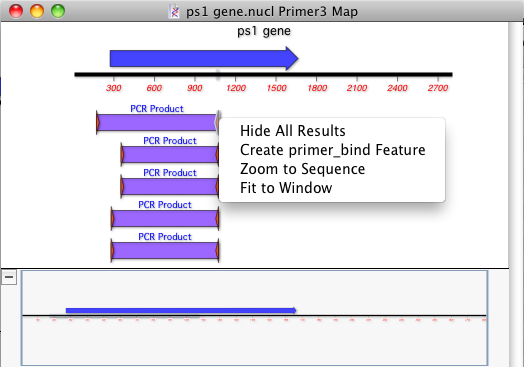 As a recent example you can now run a primer analysis and literally drag and drop a primer pair or their product to the sequence window to annotate those features to the sequence. Here’s a few of those general improvements that have been included in MacVector 12.5. In MacVector 12.5 a number of editors and lists have been rewritten in Cocoa. The restriction enzyme, proteolytic enzyme, DNA and protein subsequence editors and the Matrix editor have all been rewritten using Cocoa table views. Apart from an improved appearance, this change makes it easier to navigate and select entries in the editors, simplifying the creation of subsets (you can copy and paste between windows). In addition, you can sort the columns by clicking on the titles. Many dialogues have had error handling code added so that red information text will be displayed explaining why the OK button is not enabled if invalid parameters have been entered. This helps understand how to optimise an analysis without having to read up in depth about the various parameters. There are new “Segmented Hollow Arrow”, “Segmented Hollow Box” and “Segmented Full Height Hollow Box” symbol. You can use these for segmented features (e.g. 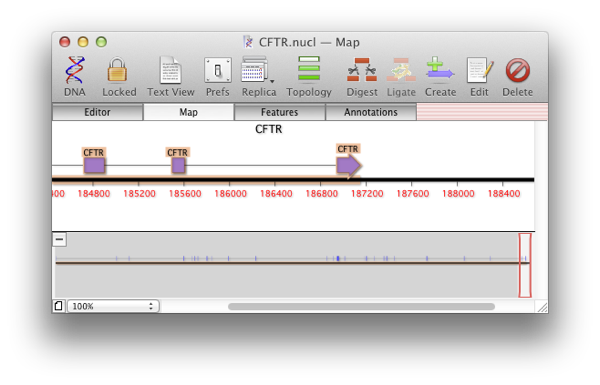 CDS features containing introns) in the Map tab and the exon segments will be shown joined by a line. See the screenshot below for an example of the end of a multi exon segmented feature. The Editor tab can now display the translations of CDS features above or below the sequence – turn this on using the Strands button. Segmented subsequence matches now have all segments displayed in the text and graphical outputs. For example you can now search for canonical E.coli promoter sequences and see both the -35 and -10 regions displayed in the Map. The Align to Reference algorithm now runs as a standard job so that you can switch to other windows and carry on using MacVector while waiting for lengthy alignments to complete. 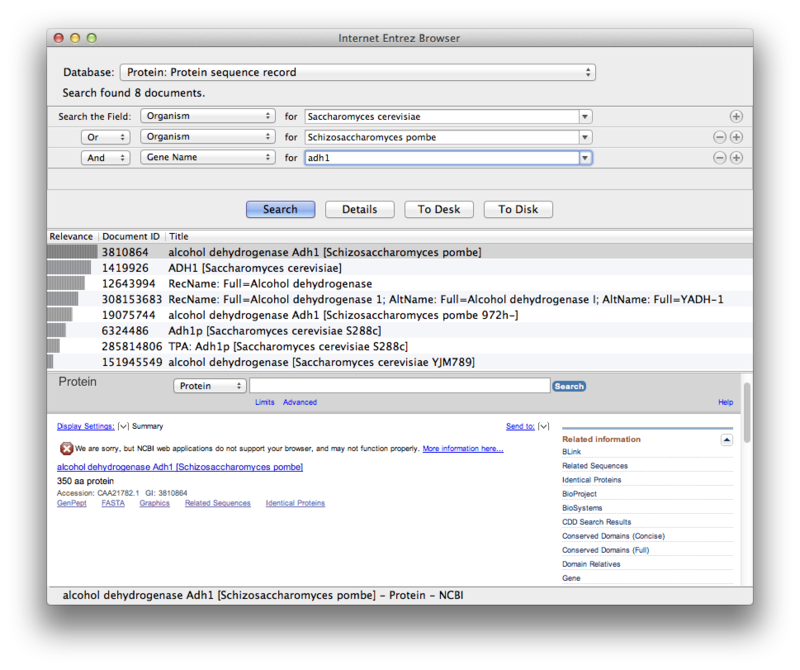 The maximum number of results that can be returned by the Align to Folder function has been increased to 32,767. The SNP tab of the Align to Reference Window now lists all of the changes between the consensus and the reference sequence and includes the codon change and amino acid change of any CDS feature crossing each SNP. ..and remember if you want to add Assembler before MacVector 12.5 is released you can do so at half price. You can also purchase an upgrade or a new license before the release of MacVector 12.5 and get a 10% discount. Both these offers include a free upgrade to MacVector 12.5 when it is released. Please request a quote now. Don’t forget to quote the promotional code of “Assembler50%” or “MV12510” for the discounts. This entry was posted in Development, Releases and tagged assembler. Bookmark the permalink. Both comments and trackbacks are currently closed.